In order to attain BOC certification, an individual must complete an entry level athletic training education program accredited by the Commission on Accreditation of Athletic Training Education (CAATE) and pass the BOC certification exam. A list of accredited programs can be found on the CAATE website. In order to qualify as a candidate for the BOC certification exam, an individual must be confirmed by the recognized Program Director of the CAATE accredited education program. In July 2005, the BOC and the Canadian Athletic Therapists Association (CATA) signed a mutual recognition arrangement (MRA). The agreement allows BOC Certified Athletic Trainers and CATA Certified Athletic Therapists to write/take each other’s certification exams. This allows certified individuals’ access to professional requirements for employment in both countries. In order to qualify as a candidate for the BOC certification exam, a CATA Certified Athletic Therapist must hold a minimum of a bachelor’s degree and provide documentation of his or her certification status. An official from the CATA office must confirm the individual's certification as an Athletic Therapist by completing the CATA Endorsement Form. In September 2014, the BOC, CATA and Athletic Rehabilitation Therapy Ireland (ARTI) signed an agreement that built upon the 2005 MRA. Under the agreement, the national certification bodies for athletic training and athletic therapy in all 3 countries will recognize each other’s education and certification standards. In order to qualify as a candidate for the BOC certification exam, an ARTI Certified Athletic Rehabilitation Therapist must hold a minimum of a bachelor’s degree and provide documentation of his or her certification status. An official from the ARTI office must confirm the individual's certification as an Athletic Rehabilitation Therapist by completing the ARTI Endorsement Form. Additional information regarding exam policies and procedures including fee structure is available in the BOC Exam Candidate Handbook. BOC certification is just the beginning of your journey with the BOC. The BOC believes that continually supporting a credential holder's practice has long term benefits for all stakeholders: patients, families, employers, regulators, educators and the public. The certification process begins with determining eligibility and creating a profile in BOC Central™. As a candidate, you will use BOC Central™ to manage your personal information, apply/register for the BOC exam, communicate with the BOC and request verification for state licensure or employment once certified. The following page contains instructions for entering your personal, demographic and academic information. The lists available at the Castle/Scantron website includes the full list of Castle/Scantron testing sites; however, not every site will be available for every testing window. The BOC office is closed on these holidays. Create profile in BOC Central™. Must be enrolled in an athletic training education program accredited by the CAATE. Complete AT101 - Exam Application (CAATE) - Step 1 (which can initially be found in the "New Forms" tab). In the "Actions" section, click "Apply/Register for BOC Exam"
The affidavit portion of the exam application requires candidates to report any felony or misdemeanor conviction and any academic suspension or expulsion from a college or university. Candidates may request a predetermination of eligibility at any time by submitting their documentation to the BOC via email, fax or mail prior to submitting their application. The Professional Practice and Discipline Committee reviews all convictions. Candidates are notified in writing of the committee’s decision. Please review the Professional Practice and Disciplinary Guidelines and Procedures for details. Candidates who are granted eligibility to sit for the BOC exam should review their state’s practice act prior to sitting for the BOC exam. Their conviction(s) could affect their ability to obtain licensure in that state. Documentation is reviewed within 2-3 business days of receipt. Have you ever been convicted of, or are you currently under indictment for a felony or misdemeanor? For the purposes of this question, include convictions that have since been removed from your record, such as through expungement or through a pre-trial diversion program or similar process. If yes, email, mail or fax a detailed, written explanation, in your own words, of the events that led to the conviction(s), copy of court document(s), including, but not limited to, an arrest report, sentence recommendation, proof of compliance of all court requirements and proof of payment for all related fines. If the case(s) were alcohol or drug related, you may also be required to provide a current professional alcohol/substance abuse evaluation that is no older than 3 months. If an evaluation was not required by the court, you must obtain an evaluation from a licensed alcohol/chemical dependency counselor at your expense. Have you been found by any court, administrative or disciplinary proceeding to have committed negligence, malpractice, recklessness or willful or intentional misconduct, or are you currently under investigation for such? If yes, email, mail or fax a written description to the BOC. Have you ever been suspended or expelled from a college or university? If yes, email, mail or fax a written explanation, in your own words, as to the events that led to your suspension/expulsion or proof of reinstatement to the academic institution to the BOC. The BOC, in adherence to the Americans with Disabilities Act of 1990 (ADA), provides reasonable and appropriate accommodations for individuals with disabilities who supply appropriate documentation. The BOC follows the guidelines set forth in the Principles of Fairness developed by the Council on Licensure, Enforcement and Regulation (CLEAR) and Institute for Credentialing Excellence (ICE). The BOC does not discriminate against any individual on the basis of religion, gender, ethnic background or physical disability. An applicant may request a change in certification procedures or process due to disability, handicap or other reason. Candidates must complete the Request for Special Exam Accommodations Form and submit it to the BOC office via email, mail or fax. Medical documentation of specific needs or evidence of receiving reasonable accommodations at the university level must accompany the request. The request must be specific as to the nature of the problem. These recommendations should be based on testing that is not older than 4 years prior to the application. Accommodation requests must be received by the BOC no later than 5:00pm CT on the application deadline date of the requested exam window. The applicant is responsible for demonstrating that the request should be granted. The BOC will review the request and notify the candidate in writing of its determination within 2-3 business days of receipt. The BOC reviews all requests for reasonable accommodations. Candidates requesting reasonable accommodations are notified in writing within 2-3 business days of receipt regarding their approval of accommodations or reason for denial of accommodations. The candidate may either make an appeal to the BOC by providing additional documentation or sit for the exam under standard conditions. Reasonable accommodations provide a candidate with a disability a fair and equal opportunity to demonstrate his/her knowledge and skill in the essential functions being measured by the exam. Reasonable accommodations are decided upon based on the individual's specific request, disability and documentation submitted as well as the appropriateness of the request. The most frequent requests involve providing the candidate with extended time, a reader, a writer and/or a separate room. Reasonable accommodations do not include steps that fundamentally alter the purpose or nature of the exam. No additional cost or burden is placed on the candidate to discourage access to the exam. A "qualified individual with a disability" is one who has a disability and satisfies the requisite skill, experience, education and other requirements of the service, program or activity of which he or she is being measured and, with or without accommodations, can perform the essential functions of the service, program or activity. An essential function is one that individuals are required to perform, and removing that function would fundamentally change the service, program or activity. A person must be a "qualified individual with a disability" to be protected under the ADA. The candidate must submit documentation provided by an appropriate licensed professional or certified specialist who diagnosed the disability and is recommending reasonable accommodations. The documentation must be submitted on the professional's letterhead. The documentation must provide a diagnosis of the disability and the test(s) used to determine the disability. These recommendations should be based on testing that is not older than 4 years prior to the application. The candidate may also provide evidence of receiving reasonable accommodations at the university level on the university's letterhead. This may include an individualized education plan (IEP). The confidentiality of all documentation submitted by the candidate is protected. After the BOC processes your application, you will receive an email from boccentral@bocatc.org with your application status. Complete and pay the exam fee on AT103 - Exam Registration in BOC Central™ no later than 5:00pm CT on the exam registration deadline date. The forms will appear in the "New Forms" tab only during the exam registration window. If you see the message "No Forms Currently Available" during the registration window, please contact the BOC prior to the exam registration deadline date for assistance. The BOC accepts Visa, MasterCard, American Express, Discover, or personal checks/money orders. Payment must be received by 5:00pm CT on the exam registration deadline date. After you register for the exam, you will receive an email from testing@castleworldwide.com 3-7 business days after the last exam registration date to schedule your exam site/date/time. Within 2-4 weeks from the last day of the exam window, you will receive an email from boccentral@bocatc.org notifying you exam results have been posted online. You will be instructed to login to your BOC Central™ profile to see your updated status. You passed the BOC exam, completed your file for certification and are now a Certified Athletic Trainer. You passed the BOC exam and need to complete your file for certification. You are not yet certified; the use of the ATC® credential is strictly prohibited. You haven’t passed the exam yet, but you can try again. Keep an eye out for an email with your certification number, how to access your certification card and certificate, how to request verification of certification for state licensure and other important information. What’s Next? Log in to your BOC Central™ profile and click “Exam Results” under Actions in the menu on the left to view exam score and basic diagnostic report. Register for another exam window as soon as possible. The BOC processes official transcripts within 2-3 business days of receipt. You will be sent an email once the documentation has been processed. Once officially certified, you are also sent an email which will include your certification number. Official transcripts should NOT be sent to the BOC until the degree and date of degree have been posted. Electronic transcripts will be accepted only if they are electronically transferred via email using a secure and verifiable transcript service or clearing house (e.g. eScript, eCredential Solutions, National Student Clearinghouse, Parchment Send Service, Transcript Network). The secure electronic transcript must be sent to Exam@bocatc.org. The BOC processes ECC cards or certificates within 2-3 business days of receipt. You will be sent an email once the documentation has been processed. 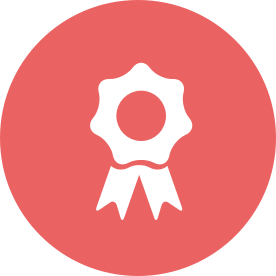 Once officially certified, you are also sent an email which will include your certification number. Click here for more details about ECC requirements for Athletic Trainers. Currently, there are 49 states that have some form of athletic training regulation. The BOC exam is recognized to obtain regulation in all 49 states; however, it is important to recognize that passing the BOC exam is only a precursor to athletic training practice. Compliance with state regulatory requirements is mandatory and the only avenue to legal athletic training practice. For specific details regarding state regulation, please contact your state regulatory agency. Once you have completed your first CE reporting period, your next reporting period will be 2 years (starting the day after the end of your last reporting period) and you will need to complete 50 CEUs. New ATs will have the certification maintenance fee waived for the year in which they are certified (i.e., the 2017 certification maintenance fee will be waived for ATs certified in 2017). The National Athletic Trainers' Association (NATA) and the Board of Certification, Inc. (BOC) urge all Athletic Trainers (ATs) to register for a National Provider Identifier (NPI) number. An NPI number is now required for all Health Insurance Portability and Accountability Act (HIPAA) transactions and claims, coordination of patient benefits, patient medical record system and prescriptions. Your NPI number allows other healthcare professionals (physicians, physical therapists, chiropractors, physician assistants, hospital systems, etc.) know who provided the patient’s care or referral. An NPI is essential for electronic medical records compliance. The 10 digit NPI number is your unique identifier in the electronic medical record arena. Why get an NPI number? With healthcare reform solidly underway, it is more important than ever that each AT obtains his/her NPI number upon licensure. Having an NPI is more than a reimbursement issue. It’s another way to stand up and be counted in the health profession community. An NPI is required of all healthcare professionals for HIPAA transactions, claims and coordination of patient benefits. Who needs an NPI number? The NPI number was described and passed into law in 1996, as part of HIPAA. However, the section pertaining to the NPI only became effective in May 2007. How do I obtain an NPI number? 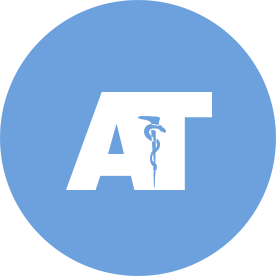 The National Athletic Trainers' Association (NATA) is the national membership organization for the profession of athletic training. The mission of the NATA is to enhance the quality of health care provided by Certified Athletic Trainers and to advance the athletic training profession. Visit www.nata.org for more information on becoming a member of the NATA. The BOC exam is just the beginning of your relationship with the BOC. Once you are certified and begin your career, the BOC is here to help you throughout your professional journey. Follow us on the BOC blog and social media Subscribe to the BOC blog, like our Facebook page, connect with us on LinkedIn and follow us on Twitter, Instagram, and YouTube. Candidate must complete Steps 1 & 2 (Forms AT101 & AT102) by Application Deadline. Please allow 1-2 business days for applications to be processed. Applications received after 5:00pm CT on the application deadline date will not be processed until the registration period has closed. The BOC must receive ADA accommodation requests no later than 5:00pm CT on the application deadline date. Applications must be APPROVED in order to register for the exam. Candidates must complete and pay the exam fee on AT103 - Exam Registration in BOC Central™ no later than 5:00pm CT on the exam registration deadline date. Candidates who register will receive an email from testing@castleworldwide.com (Castle/Scantron) 3-7 business days after the last exam registration date. The email will include a link, username and password. Candidates will utilize this information to log in to the Castle/Scantron website to schedule their exam site, date and time. Candidates may need to add boccentral@bocatc.org and testing@castleworldwide.com to their list of approved senders so important messages do not get sent to their spam folder. Graduates of a CAATE accredited athletic training program and CATA Certified Canadian Athletic Therapists may only schedule an exam in the United States or Canada. ARTI Certified Athletic Rehabilitation Therapists may only schedule an exam in Ireland. The BOC exam is administered at Castle/Scantron testing centers during 2-week testing windows. Within 2-4 weeks from the last day of the exam window, you will receive an email from boccentral@bocatc.org notifying you exam results have been posted online. You will be instructed to log in to your BOC Central™ profile to see your updated status. Visit Transition from Candidate to AT page for more information. The exam reference list represents the materials used to support the exam items, as determined by the subject matter experts of the BOC Exam Development Committee. Every item is referenced twice to ensure a consensus exists on each item. Online self-assessment exams are available to students preparing for the BOC exam or ATs seeking an assessment of their continuing education (CE) needs. The BOC offers self-assessment exams in Study and Test modes. Each self-assessment exam includes 80 questions that are representative of the question types on the BOC exam, including multiple-choice, multi-select, drag-and-drop, hot spot and focused testlets. Although the content areas of the self-assessment exams are comparable to those of the actual BOC exam, the questions included in the self-assessment exams will never appear on a future exam. The self-assessment exams are available via the internet 24 hours a day, 7 days a week. After purchasing a self-assessment exam voucher, you will have 365 days to start a self-assessment exam. Once a self-assessment exam has been started, you will have 7 days to complete the self-assessment exam and 12 cumulative hours to view and answer questions within the self-assessment exam. When you are ready to take a self-assessment exam, simply create an account in BOC Central™ (or log in to your existing account) and click Take Self-Assessment Exams. You will be prompted to fill out your self-assessment exam profile, and then you may begin purchasing vouchers to use on self-assessment exams. Your performance on this self-assessment exam does not predict your performance on the certification exam. The SAE exam items are copyrighted property of the BOC and may not be copied, reproduced or distributed in any manner. Unauthorized copying or distribution of any portion of these exams may be subject to civil liability for copyright infringement and disciplinary action pursuant to Code 3.9 of the BOC Standards of Professional Practice. If you have additional questions or experience technical difficulties with the self-assessment exam(s), please contact the Credentialing Services Department at Exam@bocatc.org or (877) 262-3926. In Study mode, you are provided with the correct answer and a reference by clicking on the "View Solution" link located on the bottom left-hand side of the screen for each question. Therefore, no final score is given and no report is available in Study Mode. This is due to the answer and reference being provided within each individual question. After purchasing a self-assessment exam voucher, you will have 365 days to start a self-assessment exam. Once a self-assessment exam has been started, you will have 7 days to complete the self-assessment exam and 12 cumulative hours to view and answer questions within the self-assessment exam.. NOTE: The questions within each version in Study mode are identical to the questions within the same version in Test mode. Self-assessment exam voucher purchases are final. No refunds or exchanges will be given after purchase. In Test mode, you will receive your score and brief descriptive report at the domain level immediately after you take a self-assessment exam. You may edit the privacy settings on your Self-Assessment Exam profile to determine if your program director has access to your results. After purchasing a self-assessment exam voucher, you will have 365 days to start a self-assessment exam. Once a self-assessment exam has been started, you will have 7 days to complete the self-assessment exam and 12 cumulative hours to view and answer questions within the self-assessment exam. Candidates cannot re-enter the self-assessment exam once it has been submitted for scoring. NOTE: The questions within each version in Test mode are identical to the questions within the same version in Study mode. Bulk vouchers can be purchased at a discount. 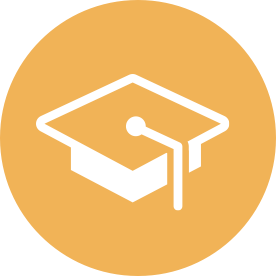 Program Directors have the ability to assign vouchers to students directly within the system. The BOC has prepared sample items for each exam part to familiarize candidates with the look and feel of the computer interface and its navigation tools. You will not receive scores for the sample questions. If you have any questions, please contact the BOC at Exam@bocatc.org or (877) 262-3926. The BOC recommends using Microsoft Internet Explorer® 8 or Mozilla Firefox® 3.6. If you are currently running Internet Explorer 10 on Windows 8, then you must first switch to Desktop Mode before accessing any self-assessment exams. Please note: You may need to load additional plug-ins (Java, Flash) and allow pop-ups. The sample questions are a tool to familiarize you with how these items will work and appear on the certification exam. This is not a study guide. The sample questions are 25 multiple-choice, multi-select, drag-and-drop and hot spot as well as 1 focused testlet comprised of 5 questions that reference a common scenario. Make sure to utilize the help button located on the left menu. Questions for the certification exam are prepared by a committee made up of BOC Certified Athletic Trainers (ATs). Each question is validated by a panel of independent judges in item writing groups, referenced to current resources from the literature on or related to athletic training and repeatedly edited by ATs for clarity and content. Questions satisfy the exam specifications of the current BOC Practice Analysis. Questions are developed to assess your knowledge on subject matter from the five domains of athletic training. Each question is also subjected to editing for grammar and technical adequacy by experts from the BOC's testing agency. Thus, content experts write the questions and validate their appropriateness for the exam, and experts in testing review the questions to ensure that the questions perform as intended. The questions are written, validated and reviewed by a panel of content experts in coordination with psychometricians. Each question is referenced to at least two textbooks that can be found in the BOC Exam References. You will not know which questions are experimental. Following login, you are presented with an entry screen in to the exam. You can select to view a demo or enter the exam. When you have completed the exam, you will submit it for scoring. You have the ability to move forward or back throughout the entire exam. You have a total of 4 hours to complete the exam. Exams are scored by Castle/Scantron, a professional testing service that specializes in certification and licensure exams. Each form of the exam includes experimental items that do not count in scoring. You are scored only on those items that have been aligned to the exam specifications of the current BOC Role Delineation/Practice Analysis and validated for scoring. The exact point value for each question is determined as a function of the weight assigned to its content category as well as the number of questions in that content category. In addition, individual items cannot earn a negative point value. Items that ask for multiple correct answers (i.e., multi-select and drag-and-drop items) are eligible for partial credit. Scores will be reported on a scale from 200 to 800, and the minimum passing score for the exam is 500. Exam results are posted on candidate profiles in BOC Central™ within 2-4 weeks from the last day of the exam window. Once exam results have been posted, candidates can expect to receive an email with directions for accessing their electronic exam results. Candidates who were successful on the BOC exam will see a status of "Certified" or "Eligible for Certification" in BOC Central™. If a candidate's status is "Eligible for Certification," use of the ATC® credential is strictly prohibited until a candidate's file is complete and the BOC has granted certification. Candidates who were unsuccessful on the BOC exam will see a status of "Eligible for Exam" in BOC Central™. The BOC recommends candidates register for the next exam window as soon as possible. The passing point used for the BOC certification exam is a criterion-referenced approach called the Angoff Modified Technique. This technique is currently considered by testing professionals to be one of the most defensible criterion referenced methods available for setting passing points. It relies on the pooled judgments of content experts. For example, in this approach, a group of BOC Certified Athletic Trainers (judges) is asked to judge each item on the exam. The criterion used to judge each item is, "What is the probability that a minimally acceptable candidate will answer this item correctly?" This question prompts the judges to consider a group of minimally acceptable candidates and what proportion of that group will answer each item correctly. The average of the proportions, or probabilities, is multiplied by the total number of questions on the exam. The result then represents the "minimally acceptable" score. The final passing point for the exam is based on this pooled judgment and the calculation of the standard error of the mean. Item analysis for each question and reliability indexes are also calculated for each section of the exam. Each new exam version is equated to the initial or anchor version to ensure that candidates are not rewarded or penalized for taking different versions of the exam. The exam score is confidential and will not be disclosed to anyone other than the candidate who has taken the exam unless the BOC receives a written request to do so from a candidate or is directed to do so by subpoena or court order. A candidate wanting scores released to another entity must indicate in writing which particular scores may be disclosed and identify specifically the person or organization to which the scores should be revealed. 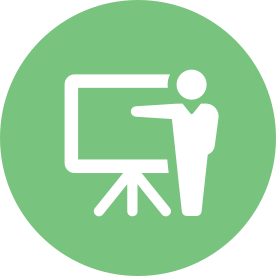 When item writing committees meet to revise the exam, they will have available to them information provided by candidates. The BOC, however, will not respond to comments individually. The style guide was developed to assist BOC item writers and other stakeholder. This statistics primer summarizes the qualifying criteria for an exam item. The crosswalk analysis serves to illustrate that the content for the BOC exam is incorporated into accredited athletic training programs.